WristScan - WristScan 8-Feb “Funky” starts now. Let the “Funk” begin! WristScan 8-Feb “Funky” starts now. Let the “Funk” begin! Let’s start our WristScan thread this week “Funky”. I want to see your Funky Watches, or a watch that gives you the “funk” and makes you feel a bit out of the ordinary in a good mood way. And having fun by not taking ourselves too seriously. My most funky watch? Probably the Girard-Perregaux Deep Diver 9108. The case shape with funky 70s feel, the colours and the funky feeling when on the wrist. Good to have two like-minded fellow members which allowed for this group shot of the 9108. The turquoise on the right is mine. So come and join us with your “Funky” Watch! Great first entry this week! 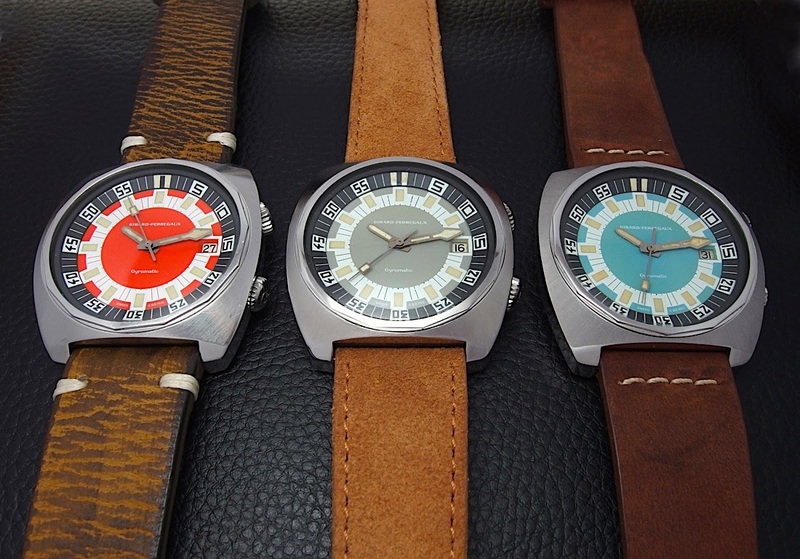 there is a lot of love for funky Doxa's here in the forum! and the Accutron is equally cool. Thanks for playing Funkster Bill. And a nice pair of Accutrons, Bill. Great story behind it as well...best story of weekend! Yup, the 70s definitely had the funkiest watches. Superb opening shot of superb weekend!! I figured you’d have an ace up your sleeve. You can probably enter at least 10 here. I will plead the 5th, for fear of incriminating my self. But you do like your weird and funky case shapes. Anything goes kind of design. Gotta love it! How about an Accutron Spaceview? of any 70's watch collection. Good show. Nicolas! You knew . . .
Did you hear about the guy who bet $250 . . .
. . . that the Rams would score only 3 points in the Super Bowl? The odds were 400 - 1. If you run into a guy with $100K stuffed in his pockets . . .
. . . you'll know how it got there! Thanks, Abel! The weekend begins now . . .
. . . with an excursion to Santa Barbara a little later this afternoon for a few drinks at the piano bar. Here's hoping your weekend will be just as entertaining ;-) . . .
... and entertaining with my grand children. And making plans for my next holidays for second half of February!! Enjoy your week end so much my dear friend! Abel. The ultimate Omega badboy! . . .
an era of great change. From Concord to the oil crisis. While vintage Omega sports watches are going thru the roof, Flightmasters, . . .
. . . Mk IIs, and Ploprofs are still approachable. The time to find one is now, K, before collectors snap them all up . . .
Definitely in the running for funkiest! A serenade . . .
. . . just for you, j! ;-) . . .
"Funky" to me is the "Funky 70's"! I was literally afraid to open this entry. And with good reason. Funk overload. And that's just when he's being extra nice. Of course not. You just showed some stuff, using your fingers. :D nice try but that surely cannot be "all"
The Green Deep Diver aka Green Lantern...an absolute favourite and I'm happy to say only a few more days and I will be re-united with mine! You’re on a roll, Blomman! I knew you would have a full armada of the funkiest funky watches! Great line-up, Abel. Nice entries, my dear Abel. Lots of funk there, an overload for sure. But that Jean D'Eve is hands down the funkiest watch I have seen on this thread. Plus, a nice memory of a nice vacation. Thank you Captain! Not a perfect example but it works, and the dial is a beauty. I dream with finding an almost mint example!!.. Seems like you were fantastically prepared, Abel! Where I am, those things are like bikinis in the Bahamas. I'm a big fan of the Memomatic, don't understand why I still don't have one...hmm Thanks for the funky submission! The Omega being my favorite. One would definitely compliment all your memovoxs! Now these are some fantastic entries, JML! OK here goes! Every year my family dresses up for a theme holiday card. This was this year’s card. Me and my fiancé, my son, daughter, daughter in law and 3 year old grandson. We got FUNKY! And here are some FUNKY watches to go with. . . The Moser... there is just something so irreverent and funky about it. And, Congratulations in advance. How about a Seiko “Pogue” Automatic Chronograph? And if I recall correctly, you have the HM5, too? Here is funky for you! Thanks a lot Cpt Scarlet! 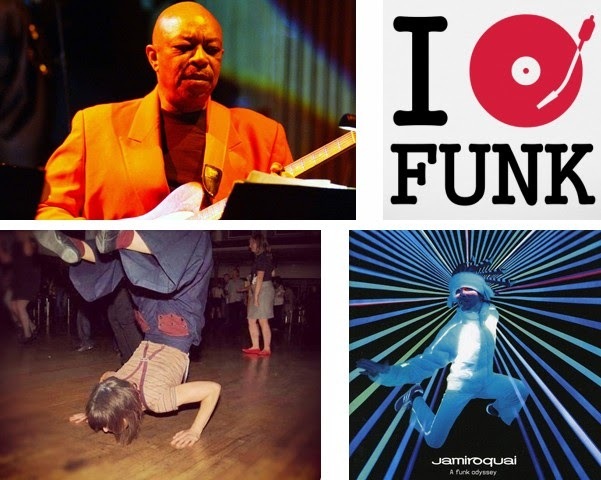 3 different kinds of Funk. I would say they are so very random😂. Cheers! Finland can do truly funky! The Ellipse surely has some funk. Wow! That' s a great way of introducing yourself Tick28800!! Welcome aboard! Great shot of your Funky and very interesting Seiko chrono! Very late entry here due to babysitting duties. You are OH so right. thanks my friend - an accolade i will gladly take! Thank you Abel! You are, as ever, most kind. It is certainly a subject & genre close to my being 😉 Have a great week ahead! All the best, Giles.